The Rolling Stones just wrapped their second night of the five-night 50 and Counting run. Continue below for the setlist that included guest spots by Eric Clapton and Florence Welch of Florence and the Machine. 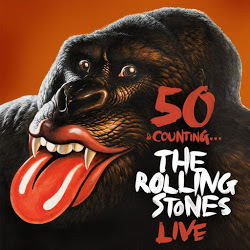 POSTPONED: The Rolling Stones 2019 Tour Dates Itinerary, Canada Day Show in Toronto Added!